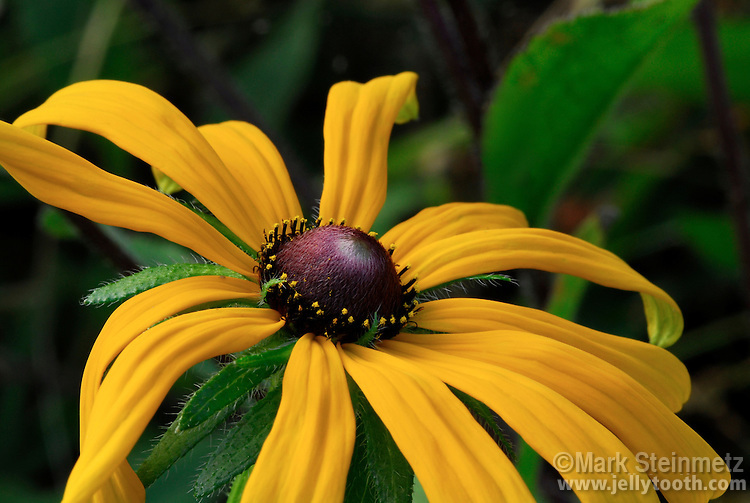 Close-up of Black-eyed Susan (Rudbeckia hirta). This species is a native north american, uncultivated form of the wildflower. Biennal or short-lived perennial herb. Found in native prairies, open woodlands, other open areas.